Almost everyone strives to get out of the house and travel to faraway spectacular lands. But finding a cheap plane ticket may be a challenge when you know nothing about these awesome websites that help budget tourists see the world without going broke. 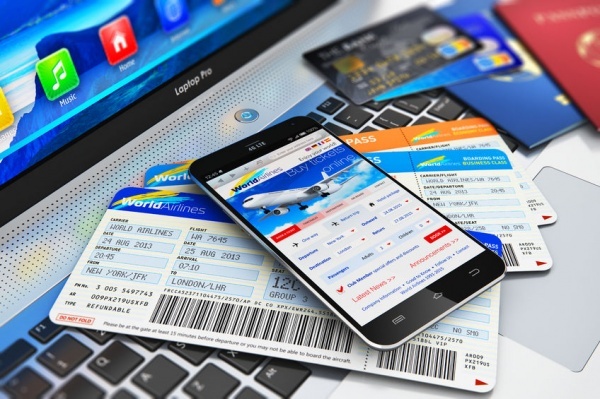 Check out what websites can save you hundreds on plane tickets. Google Flights tops this list and for obvious reason. First, because it is Google. Second, because everyone worldwide can use it to find affordable plane tickets. Google Flights is easy to use and what I love most is that there are no annoying ads and useless information. Just because Turkish Airlines is incredibly popular around the world does not mean it is expensive. Some plane tickets are ridiculously cheap. Regardless of your continent, country and city, you are guaranteed to find the ticket you need that will not make you tear through your savings or run into debts. No worries, Student Universe is not for college students only, though it helps students and youth find cheap flights exclusively negotiated for them. Student Universe can help you find discounted rates on flights, tours, hotels, and many more. Even if you are just planning your trip, visit the website to compare prices and choose the best flight. I didn’t know about WOW Airlines until my friend invited me to visit Rome. With WOW Airlines our trip was cheaper than ever, not to mention that it was truly top-flight. There are some new WOW destinations for those who have no idea where to go in 2016. Stopover in Iceland will allow you to enjoy the beauty of this island country for free. Ryanair is literally packed with great deals and special offers. While this one is particularly good for people living in Europe, you may take advantage of it one day too. With Ryanair, you can discover the most prominent treasures of Europe without disappointing your wallet. LAN is renowned for their reasonable long haul prices between the U.S. and a great number of other destinations. Their special offers will let you discover South America in the most affordable way ever. Even though the website is loaded with information, it is easy to use. Kayak is available in 18 languages and in more than 30 countries worldwide. It can help you make the wisest travel decisions and solve your travel issues in a matter of minutes. The free app will help you manage your travel on the go. Added bonus: it is user-friendly. If one of your travel goals 2016 is to explore Asia, this website might be your safe bet. Tiger Airways offers low fares perfect for last-minute decisions to hang out in a new city. It is available in over 50 destinations in 13 countries around Asia and the South Pacific. With this list, you can make that long awaited trip to your dream destination a reality. Travel is rather expensive activity, but when you plan the tiniest details, you might save more than you have ever expected. Money should never prevent you from exploring the world. This is just an excuse many of us use. What other websites can help us save money on plane tickets?